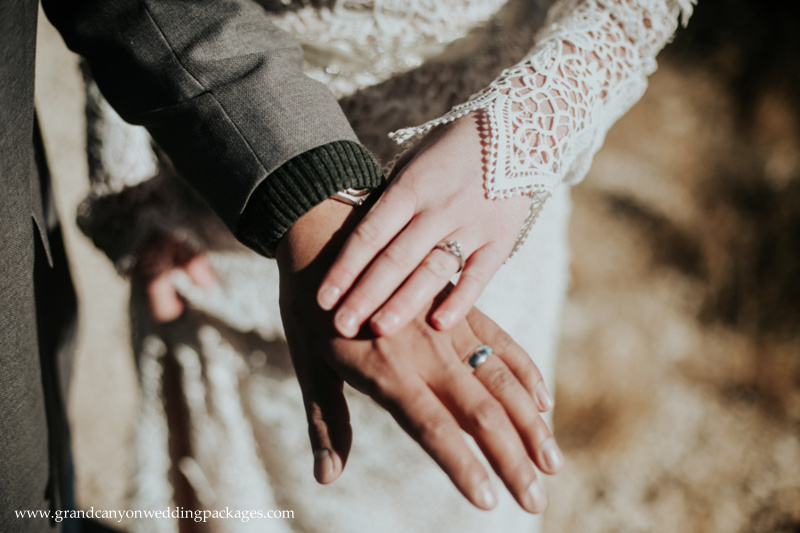 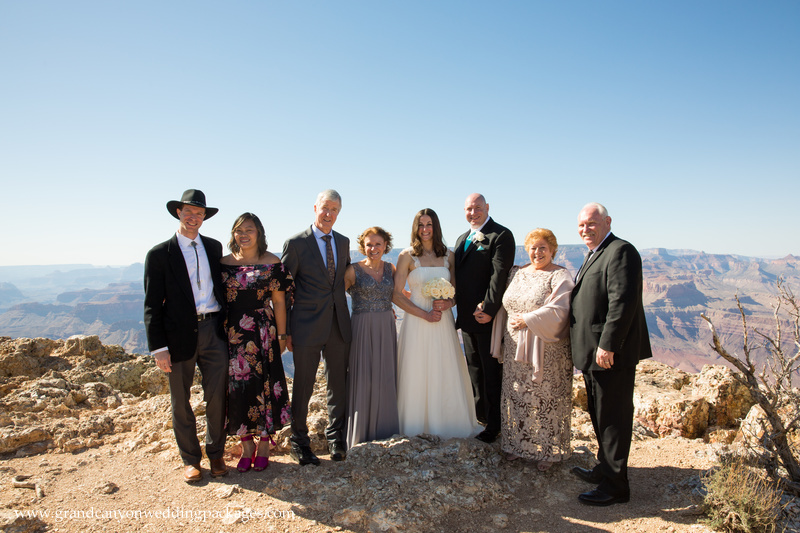 Linda and Mark recently eloped at the Grand Canyon with two of their closest friends by their sides. 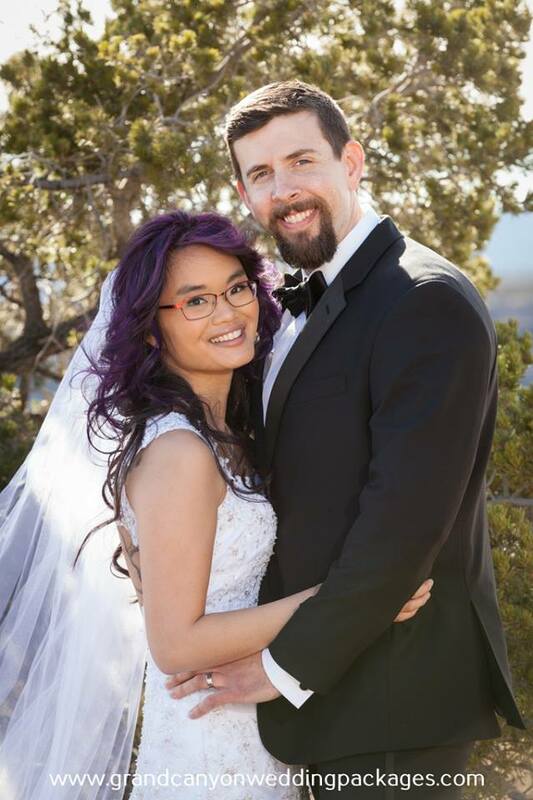 Congratulations Linda and Mark! 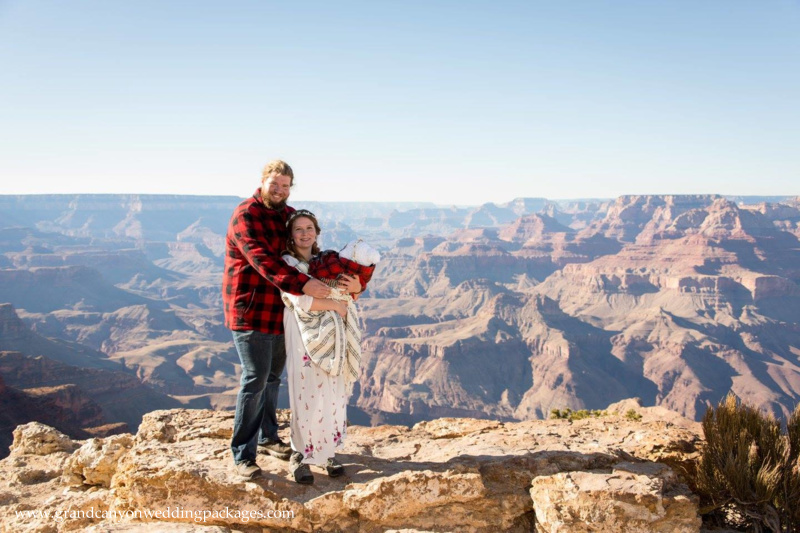 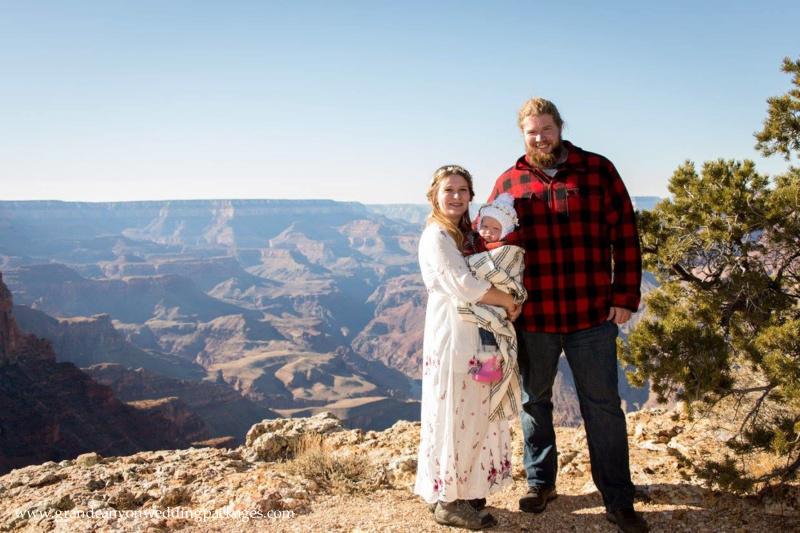 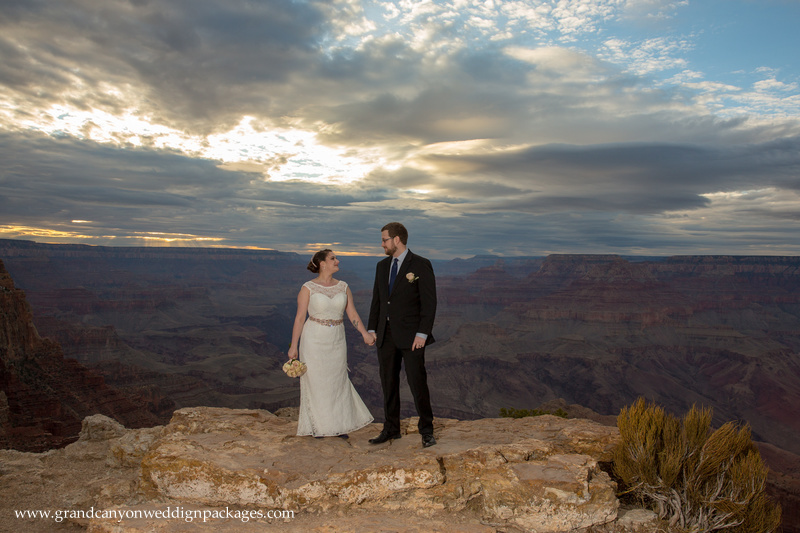 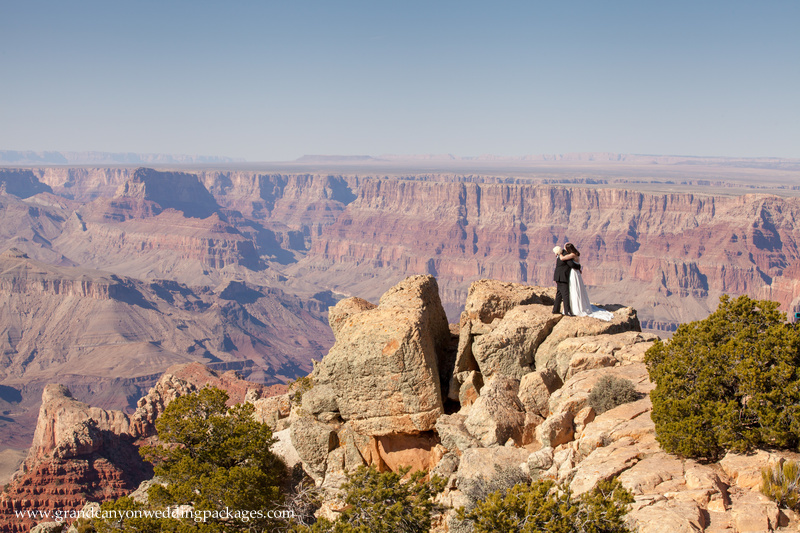 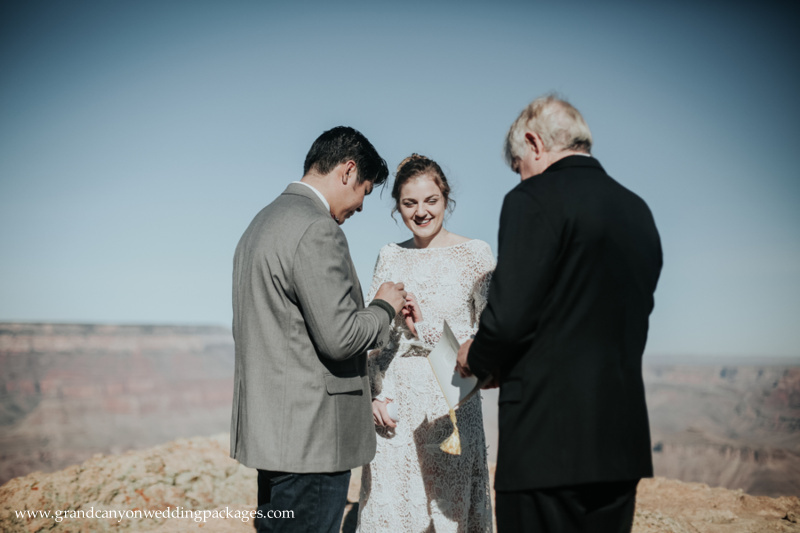 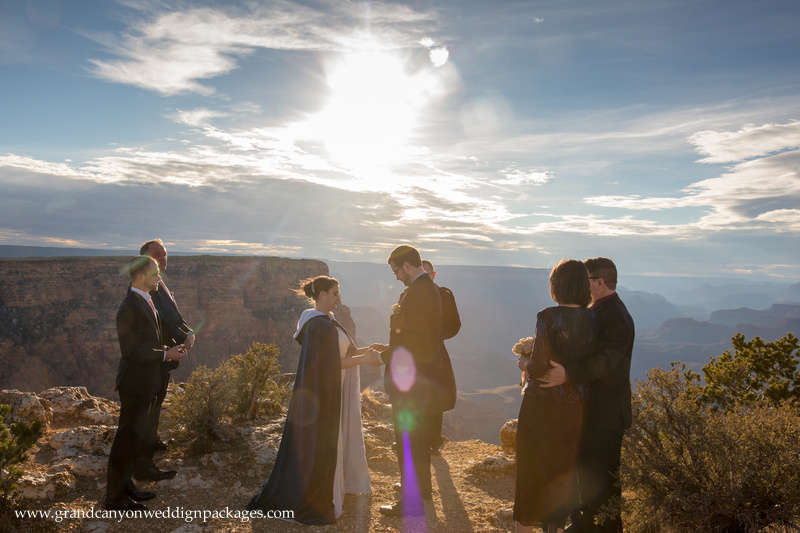 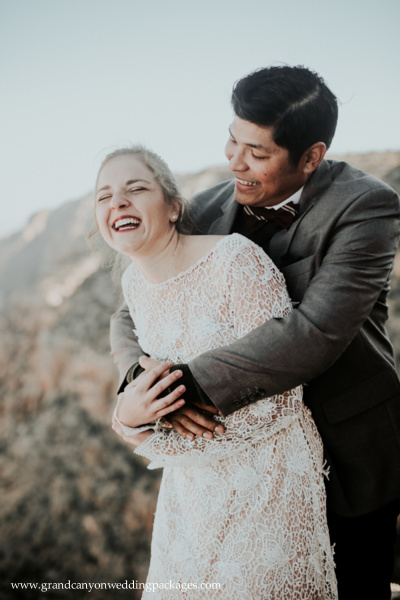 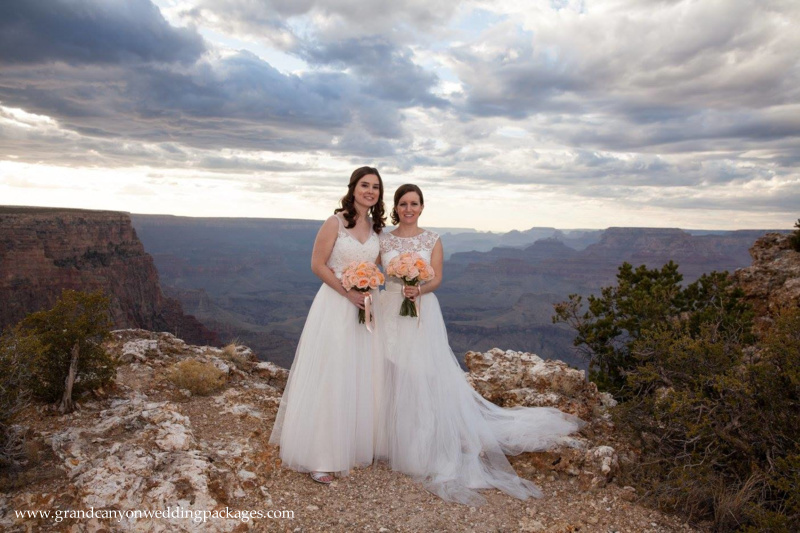 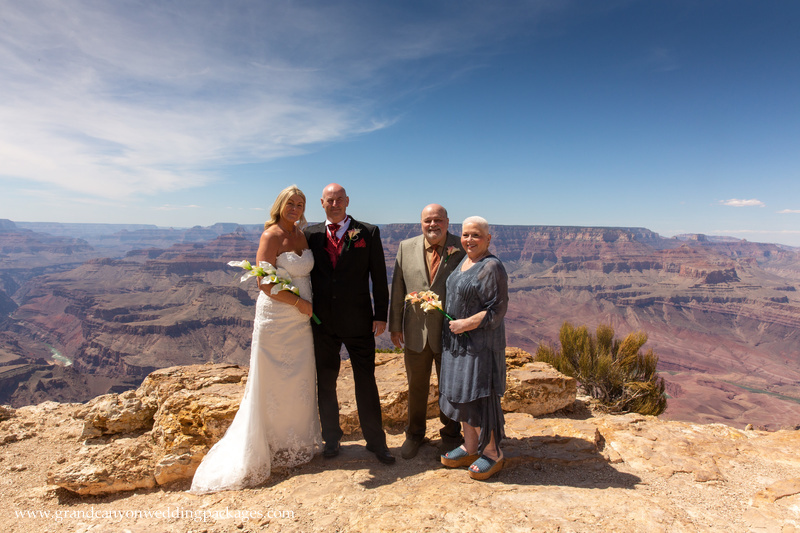 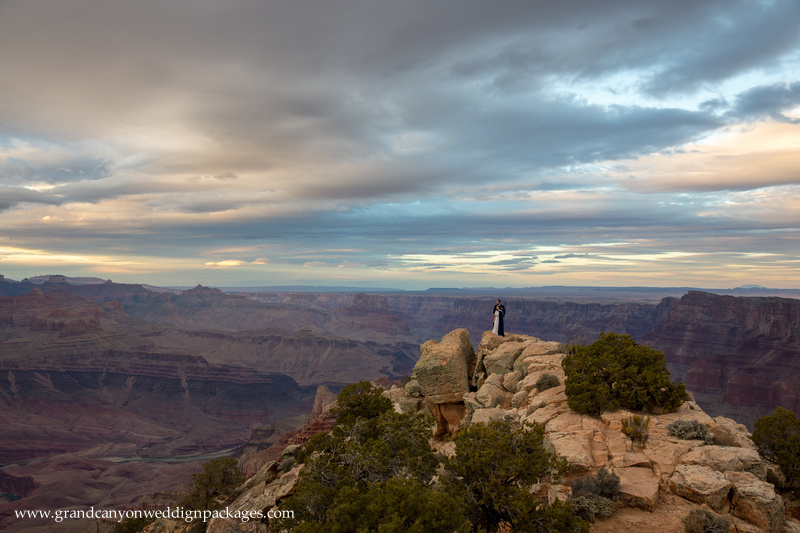 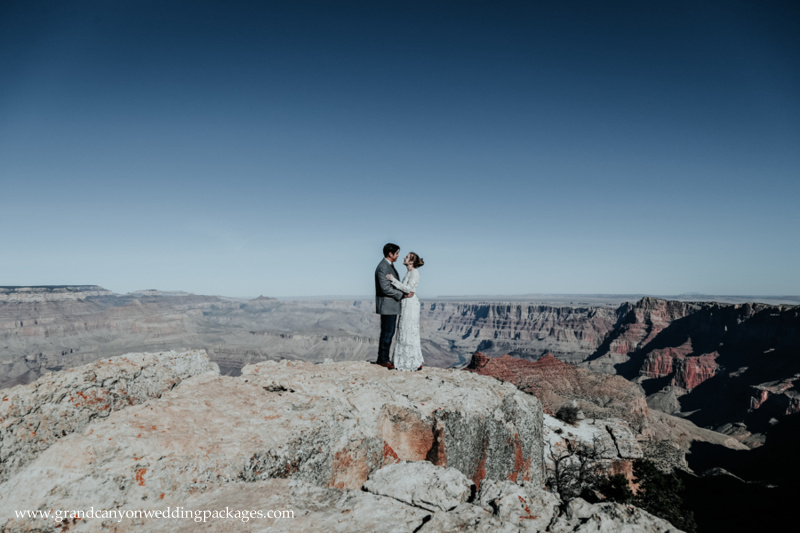 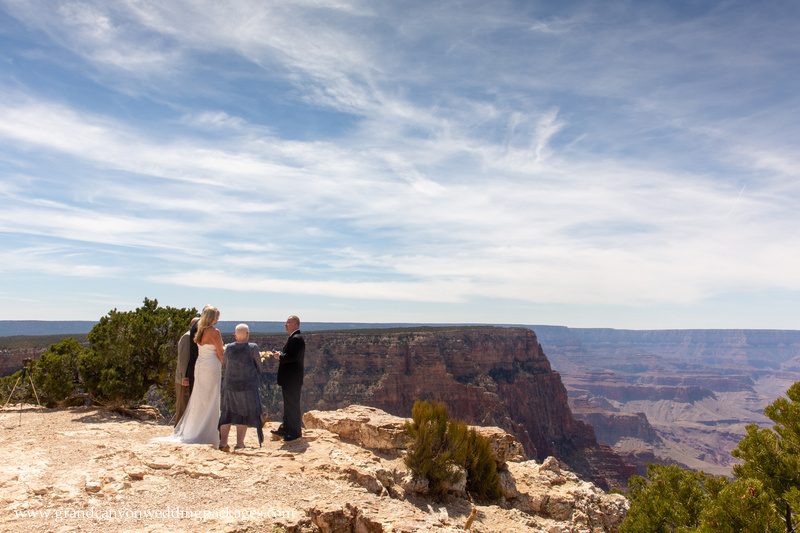 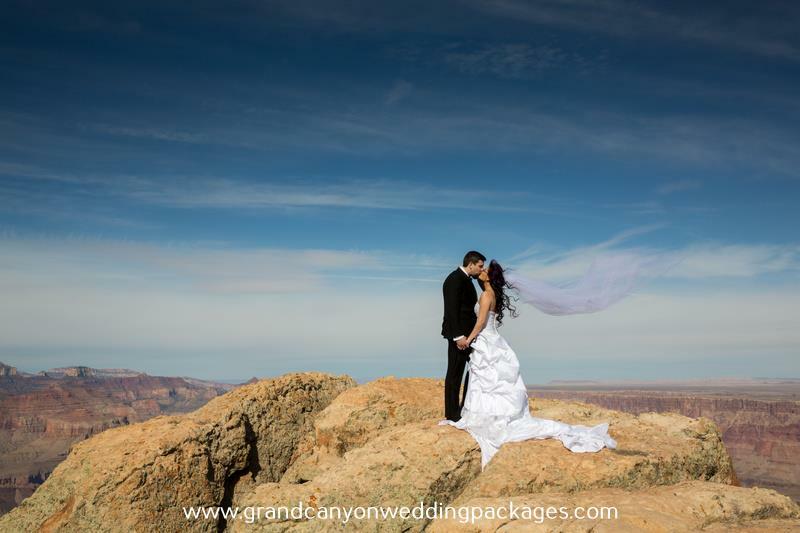 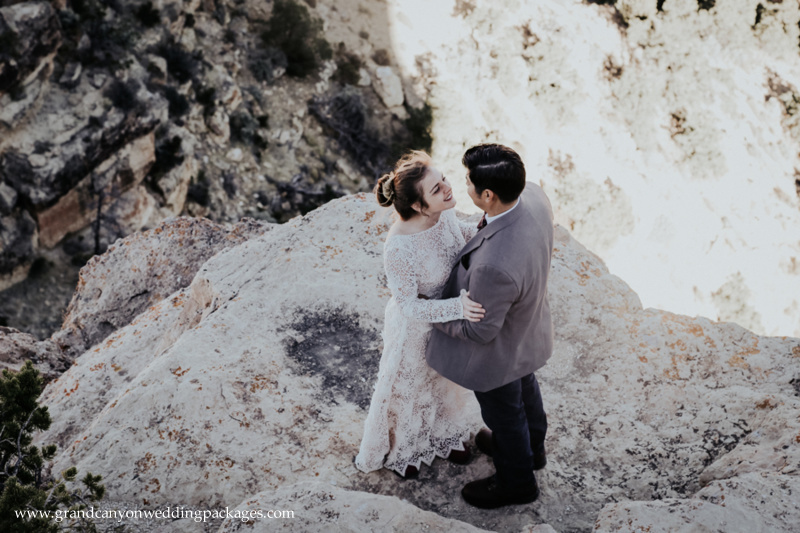 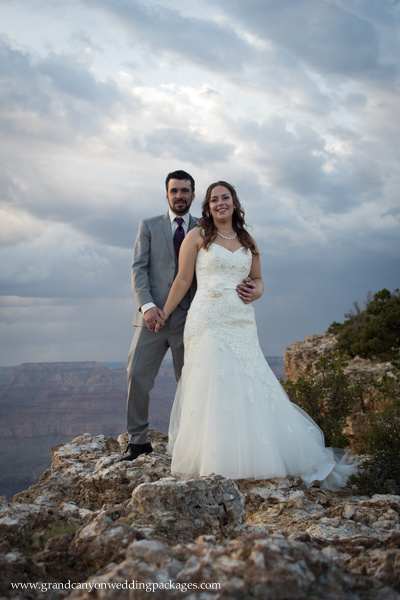 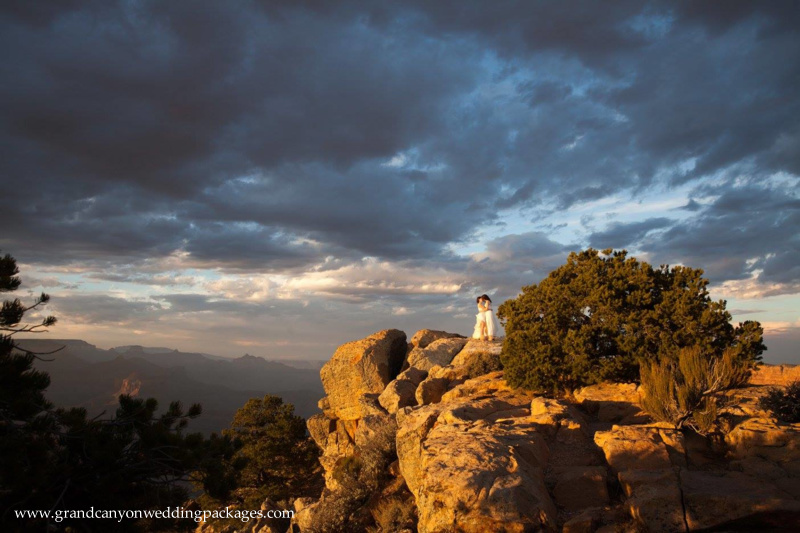 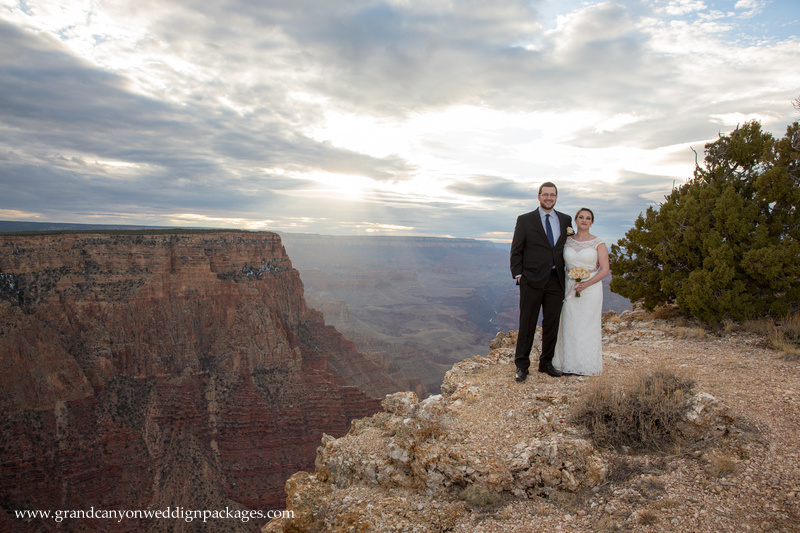 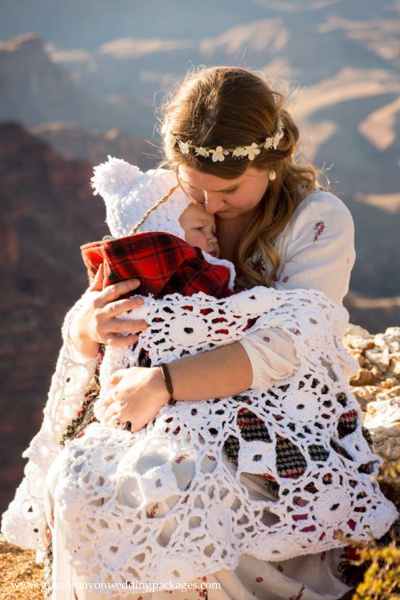 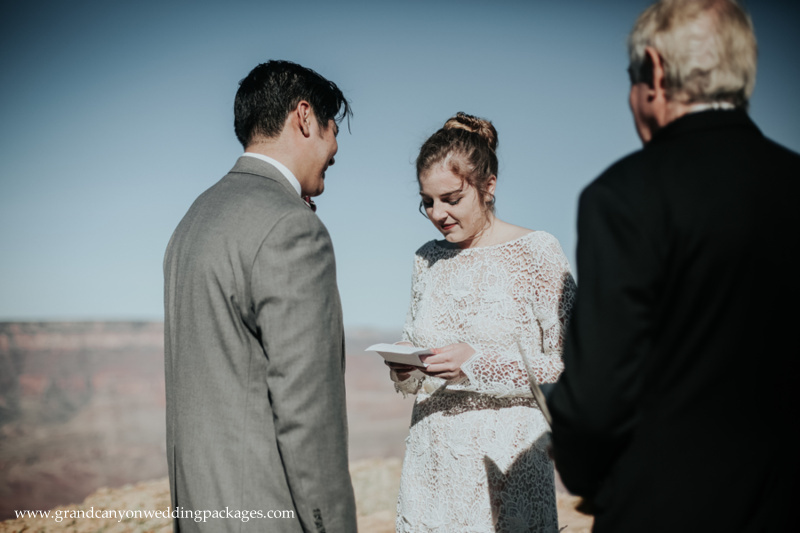 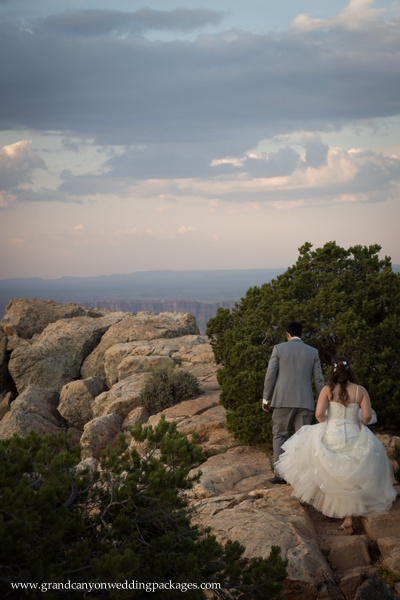 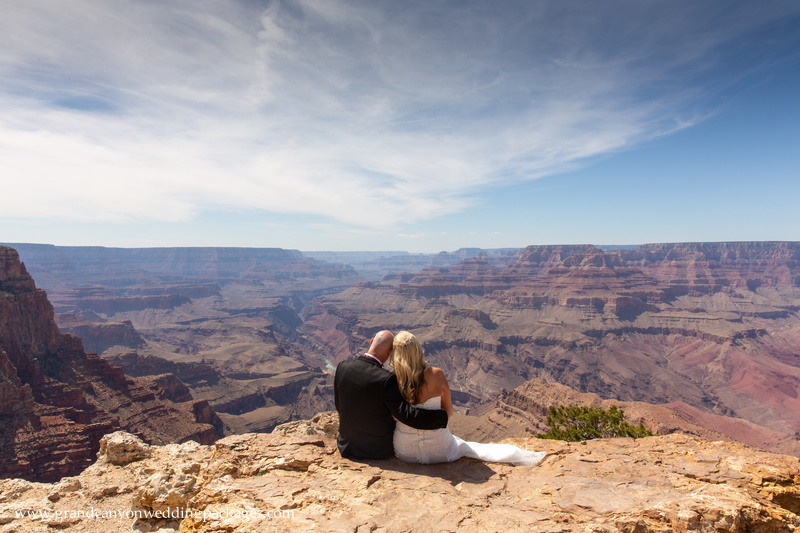 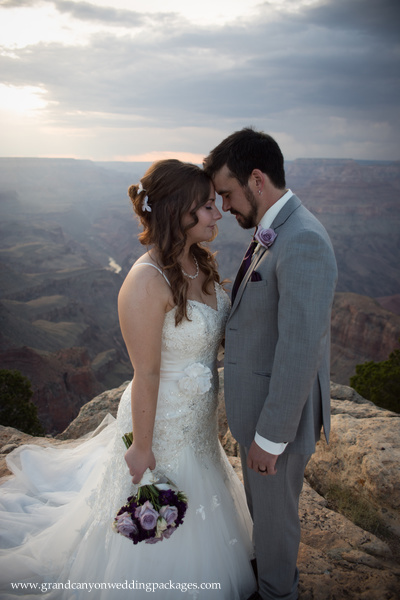 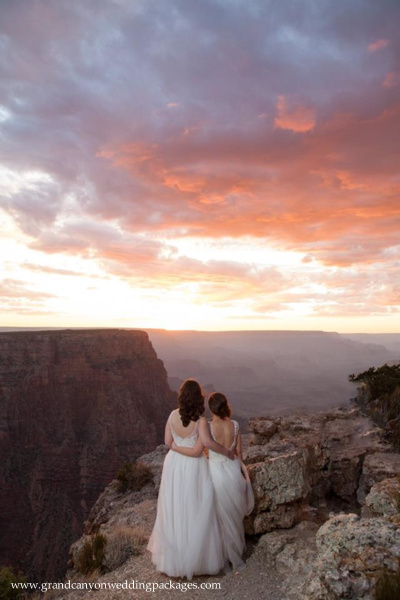 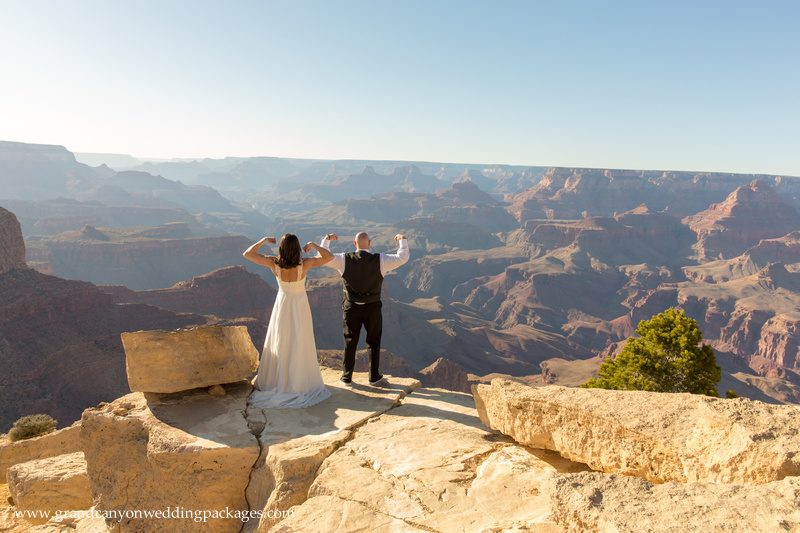 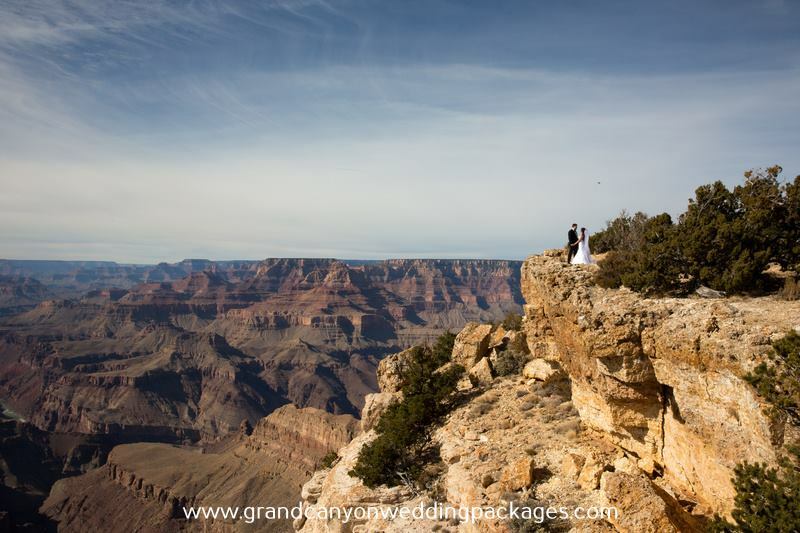 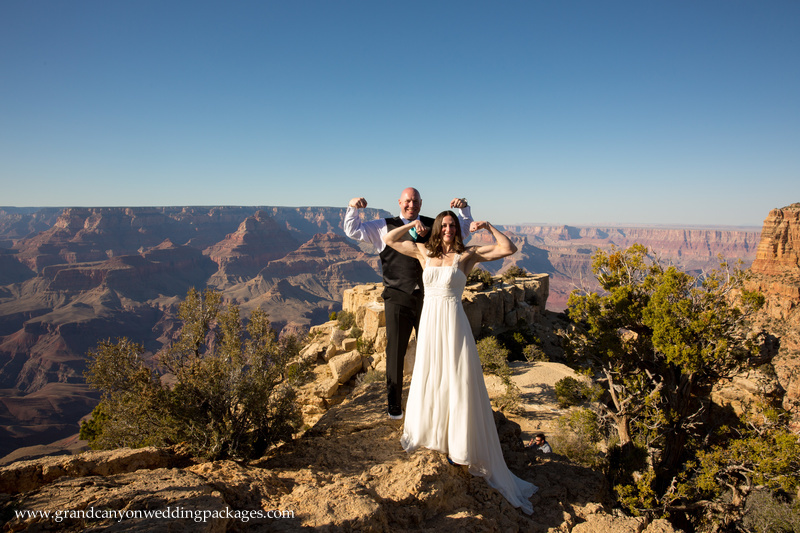 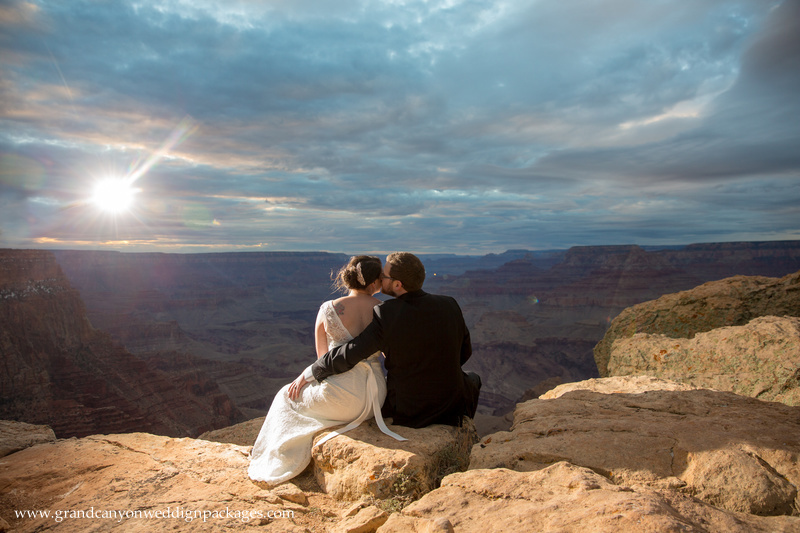 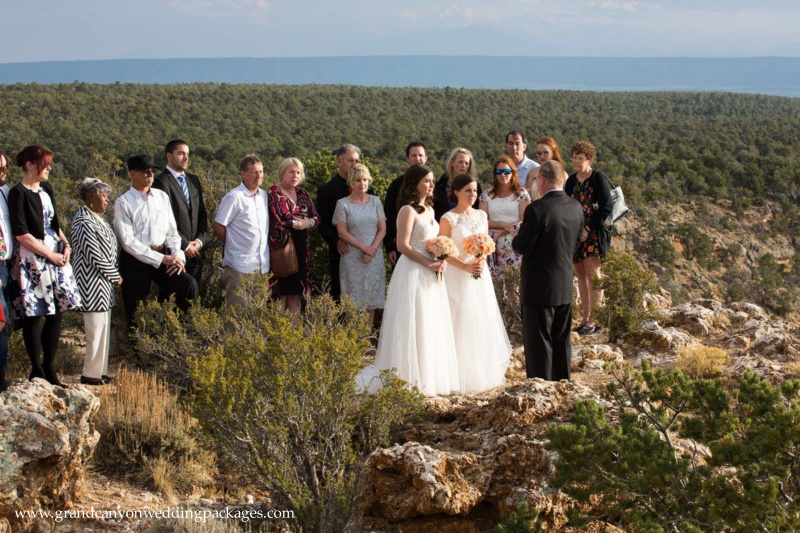 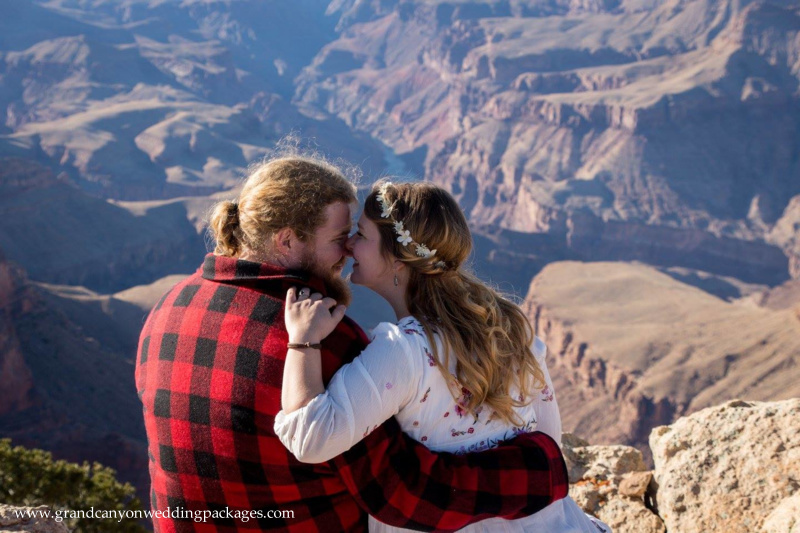 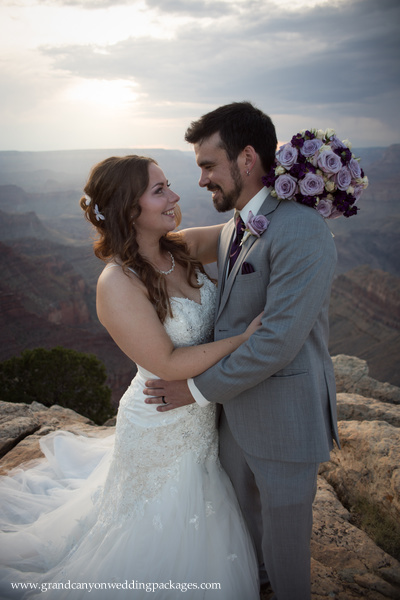 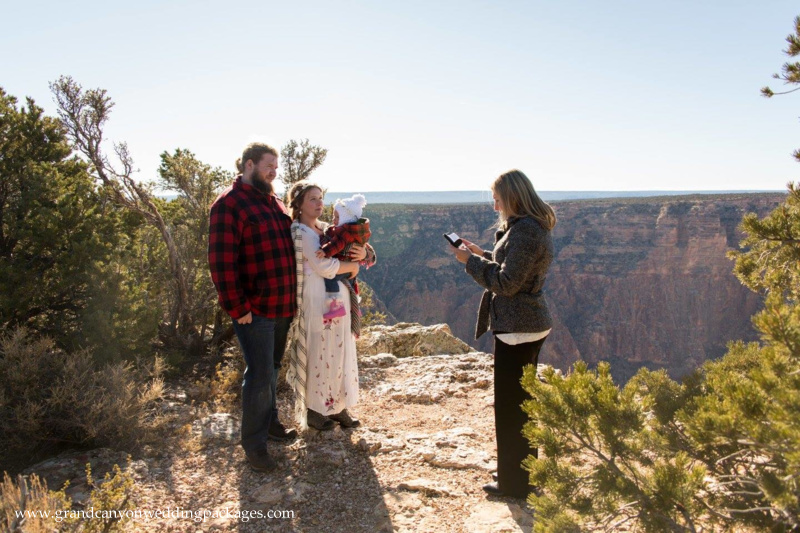 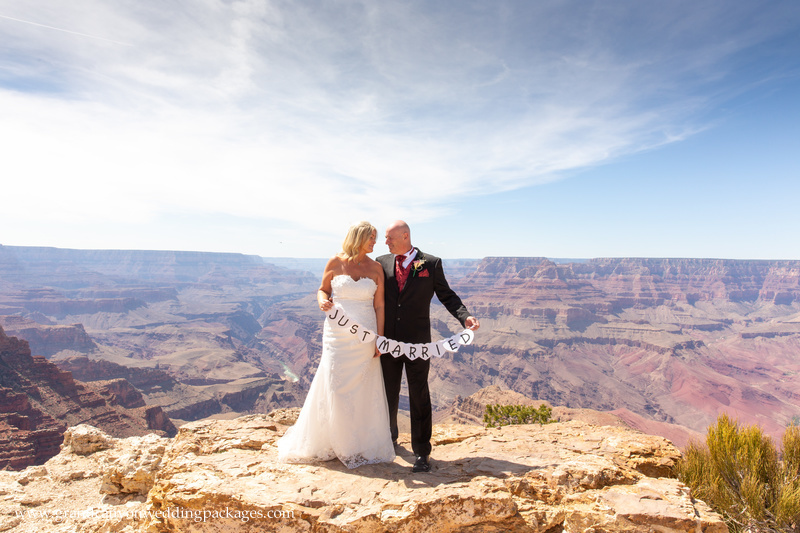 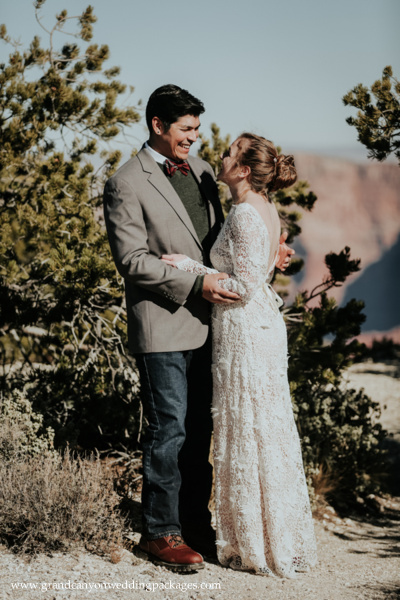 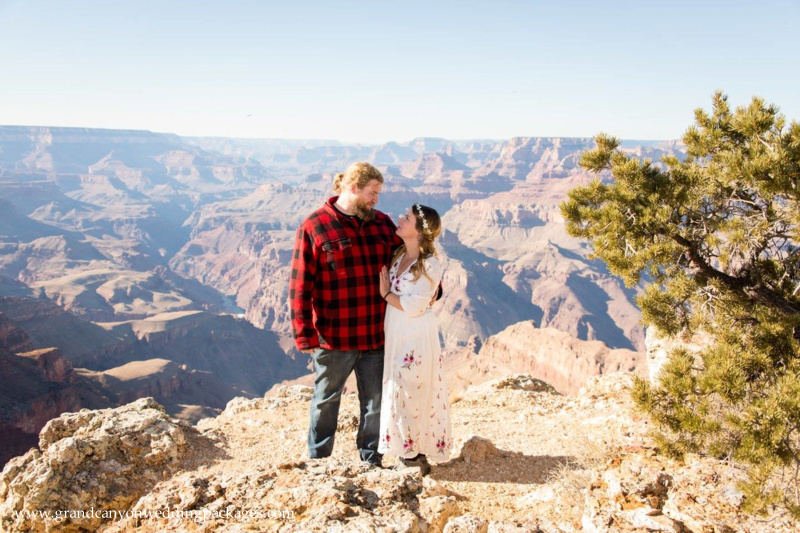 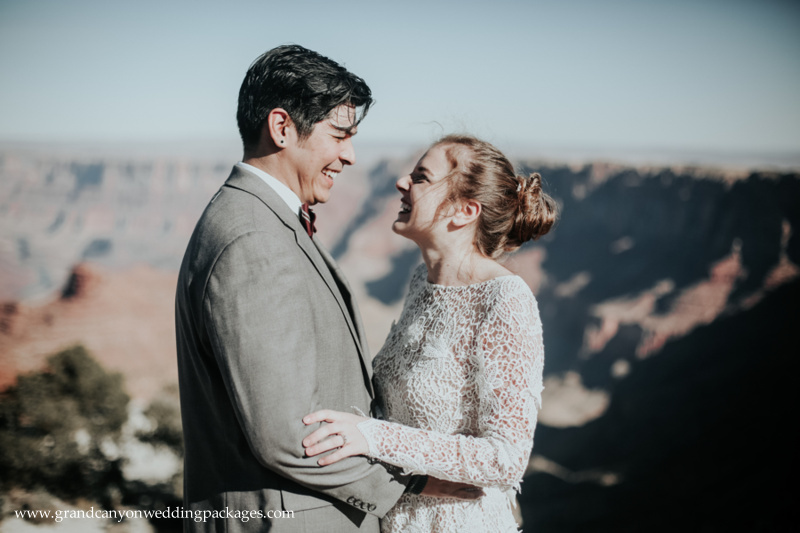 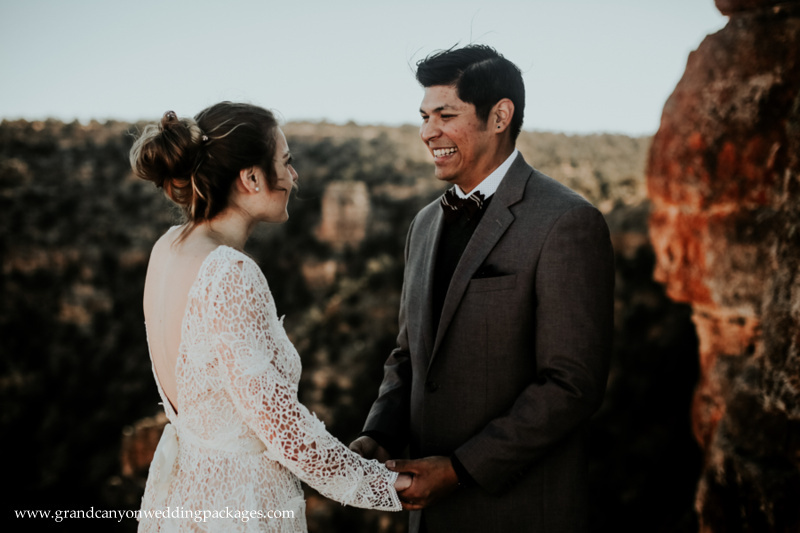 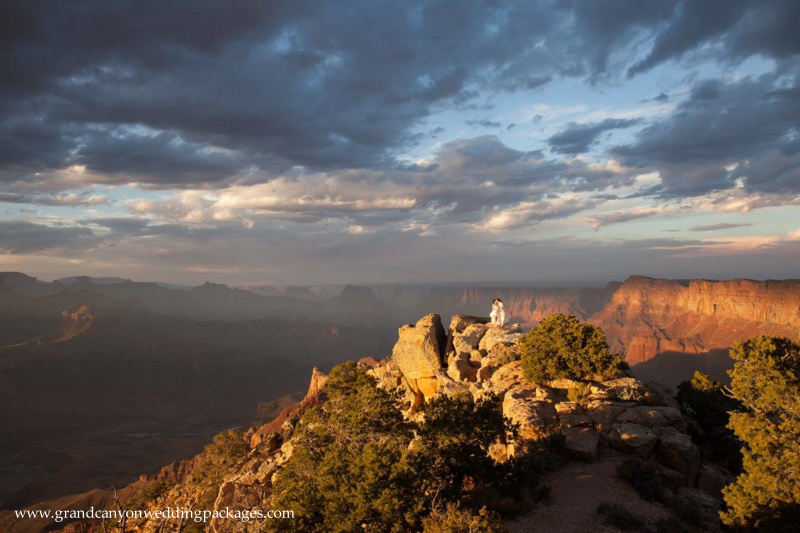 They came all the way from England to elope on the rim of the Grand Canyon at Lipan Point. 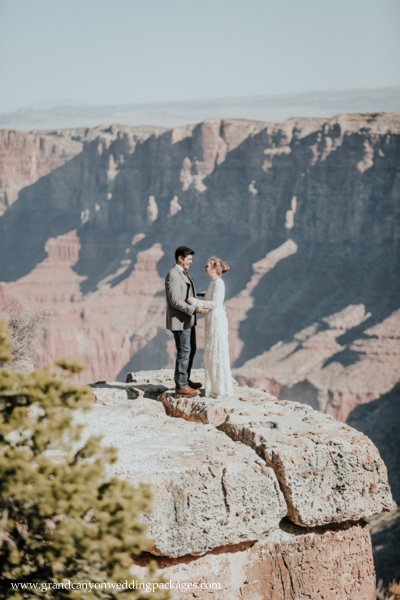 I don’t think they could have picked a prettier place to elope! 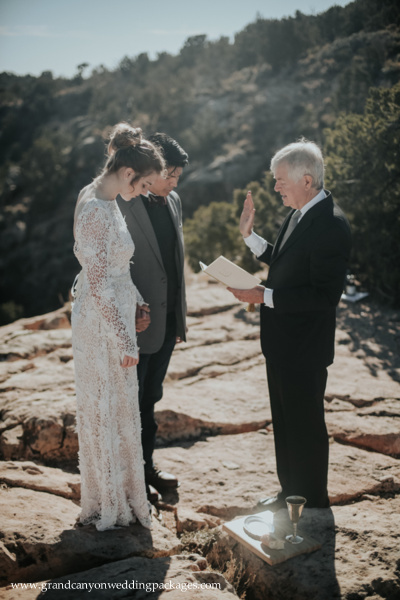 It was a gorgeous day and they all looked stunning! 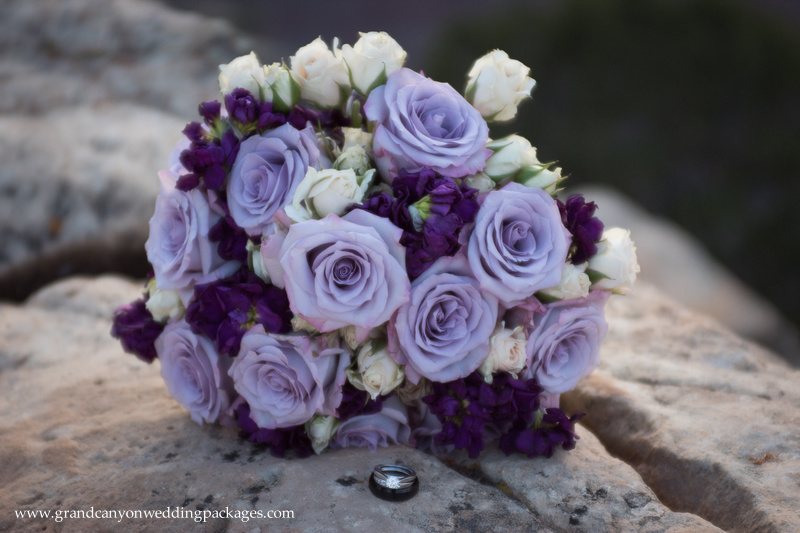 Linda made all of their flowers and aren’t they wonderful? 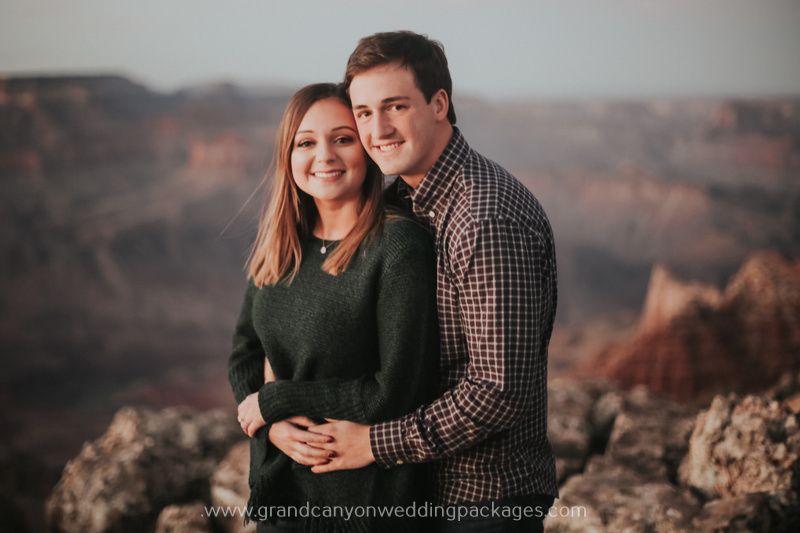 We wish them safe travels and a happy marriage! 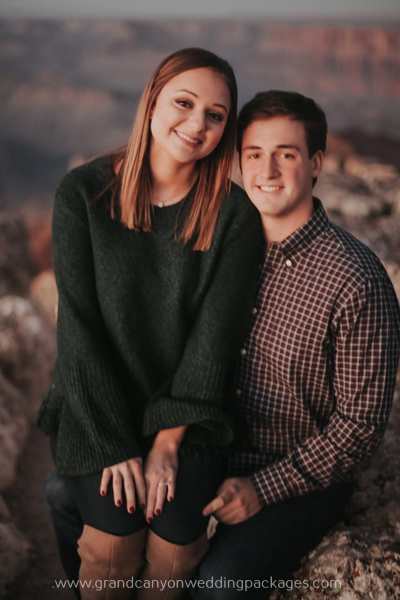 Check out some of their photos below! 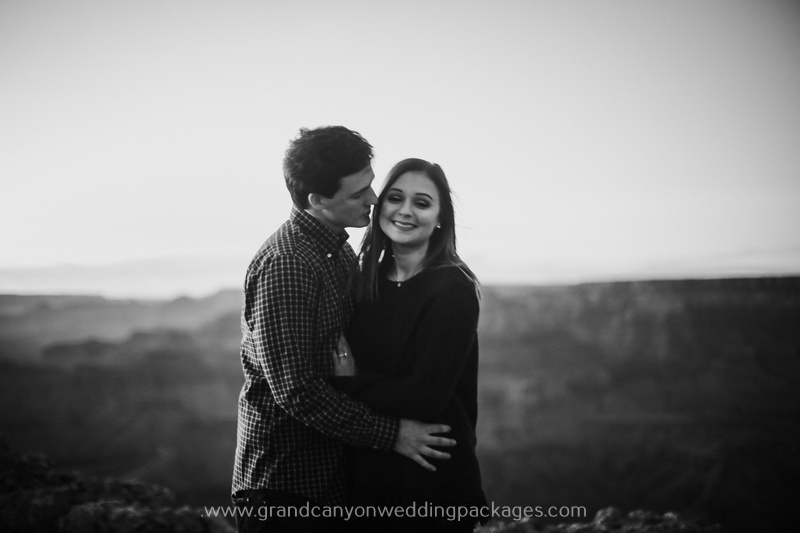 Congratulations to Samantha & Cody. 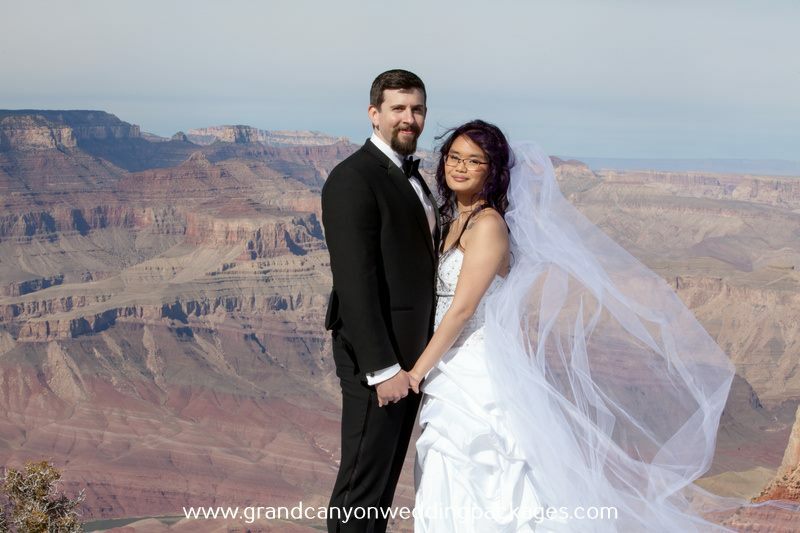 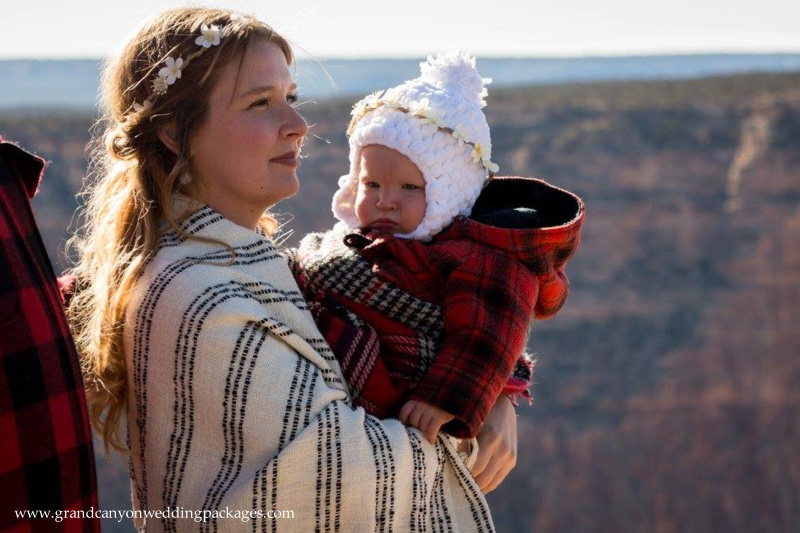 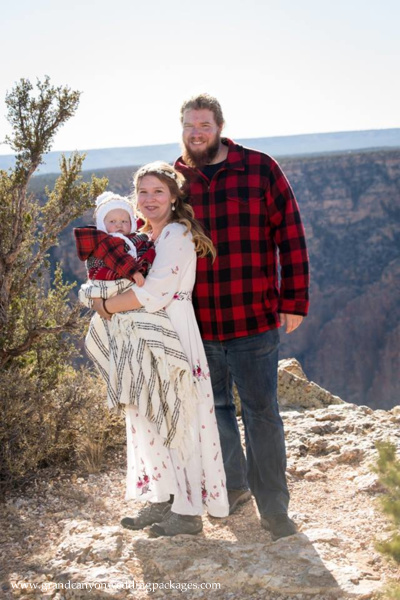 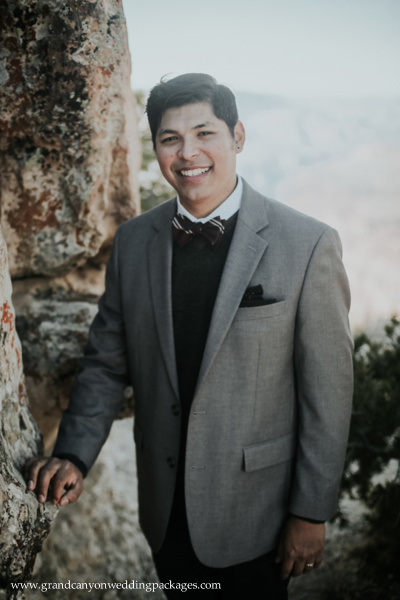 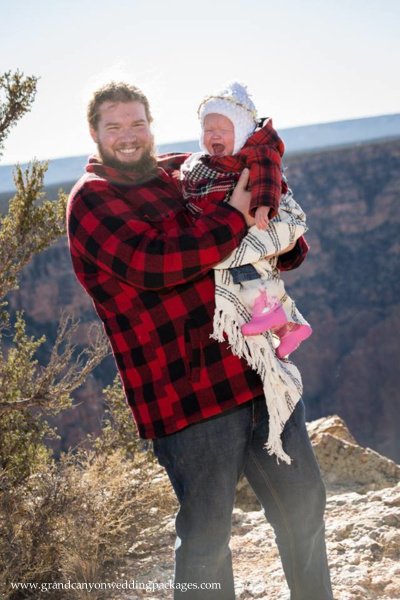 They recently eloped in the Grand Canyon from Texas! 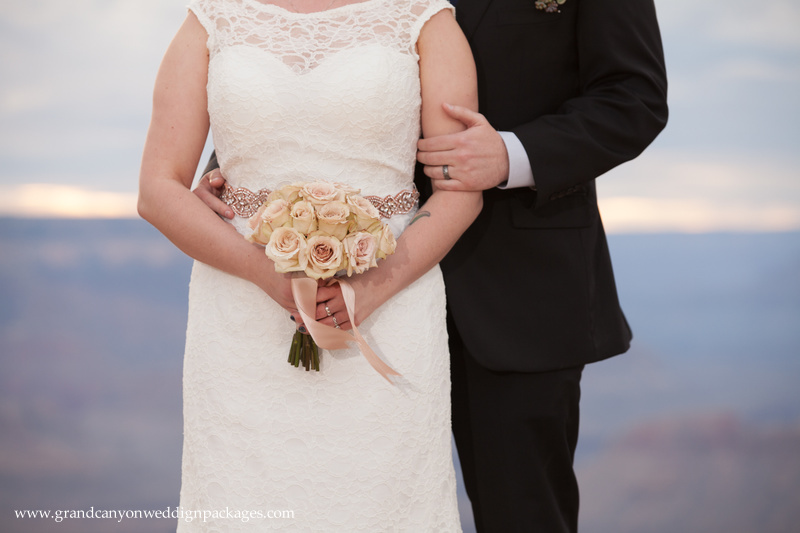 Samantha couldn’t decide on the perfect dress, so she bought TWO plus a beautiful veil! 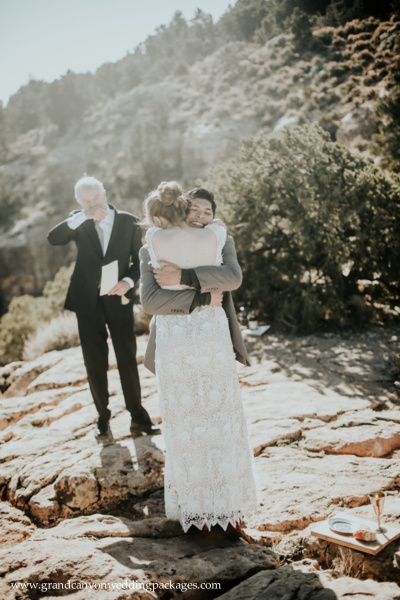 Unfortunately they had to leave their sick dog at home and were very worried about her but they made sure she was a part of the wedding ceremony by Skyping her so she could see them get married! 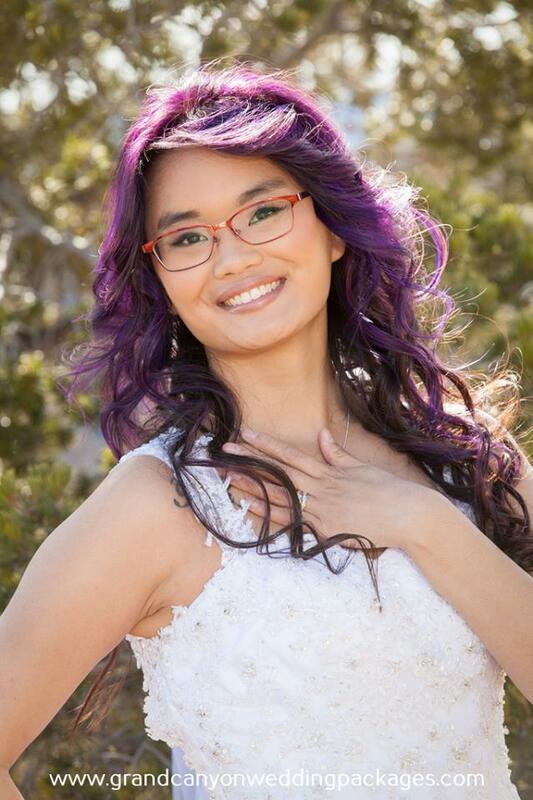 We wish her a speedy recovery. 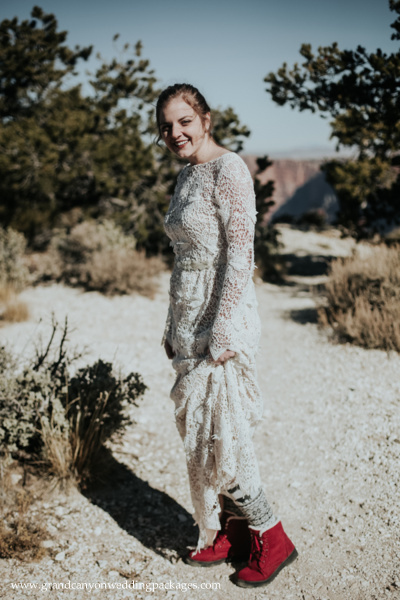 Samantha is a dog trainer and they have quite the arrangement of pets back home, too bad they couldn’t be in the photos! 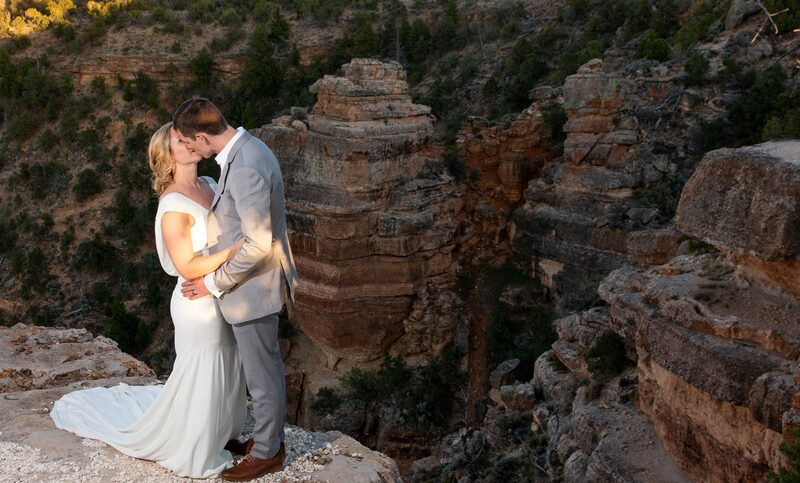 Here are some of our favorite photos from their big day. 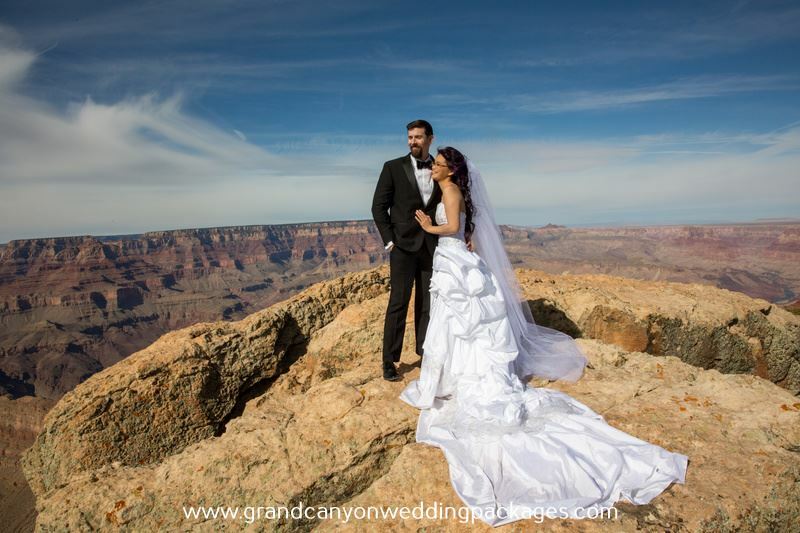 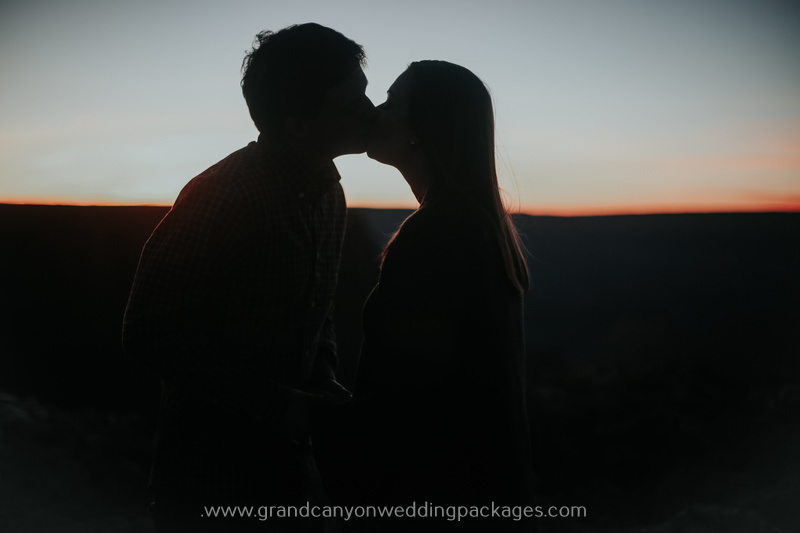 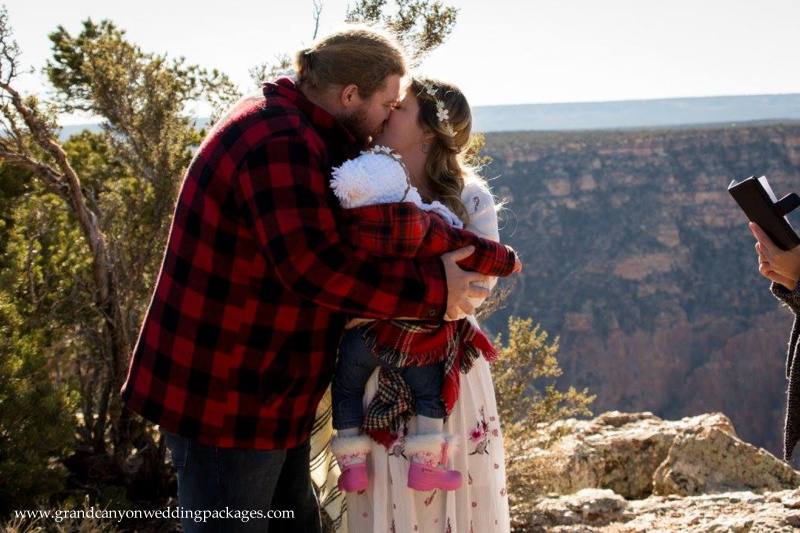 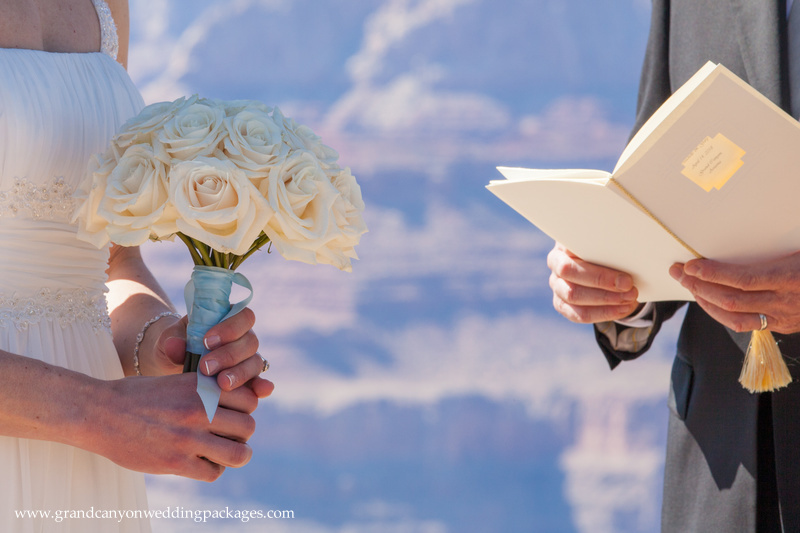 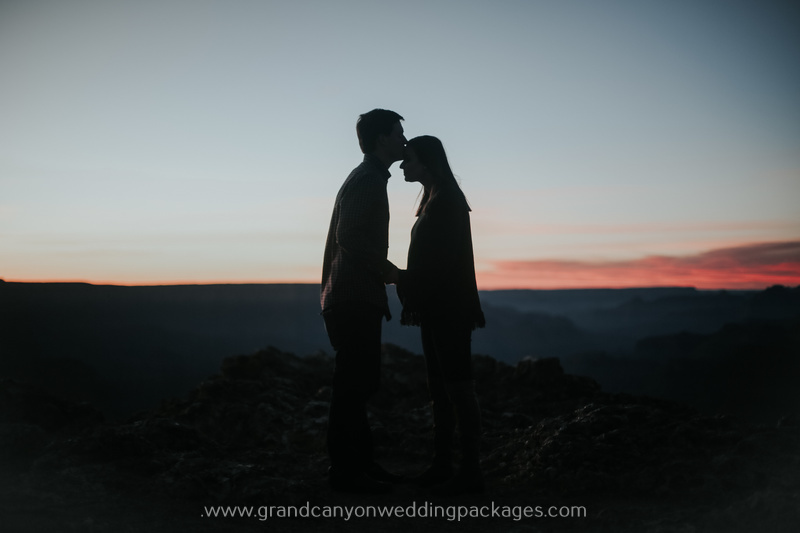 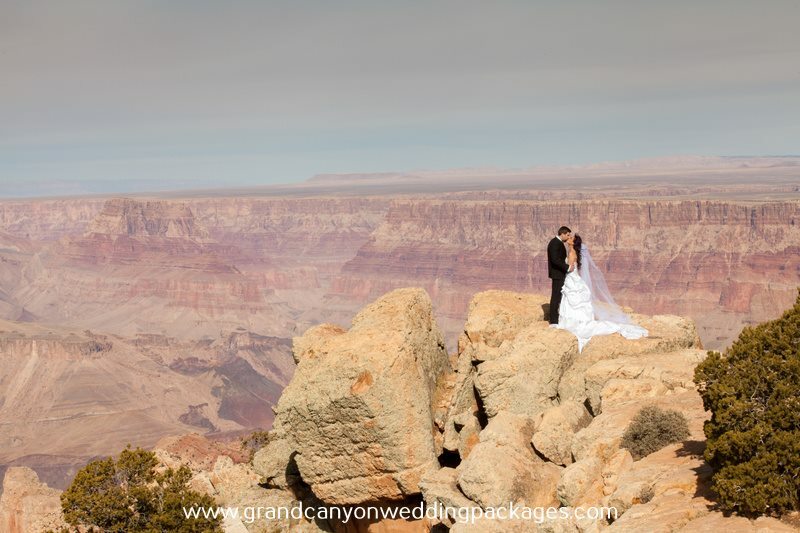 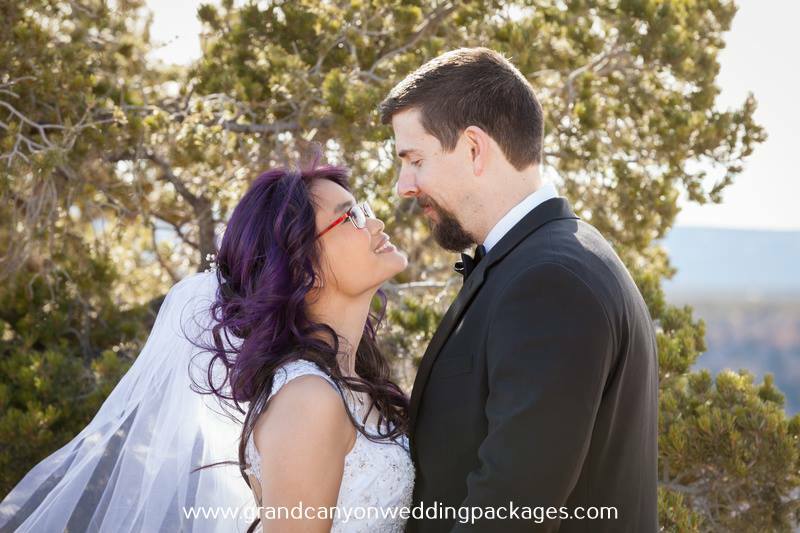 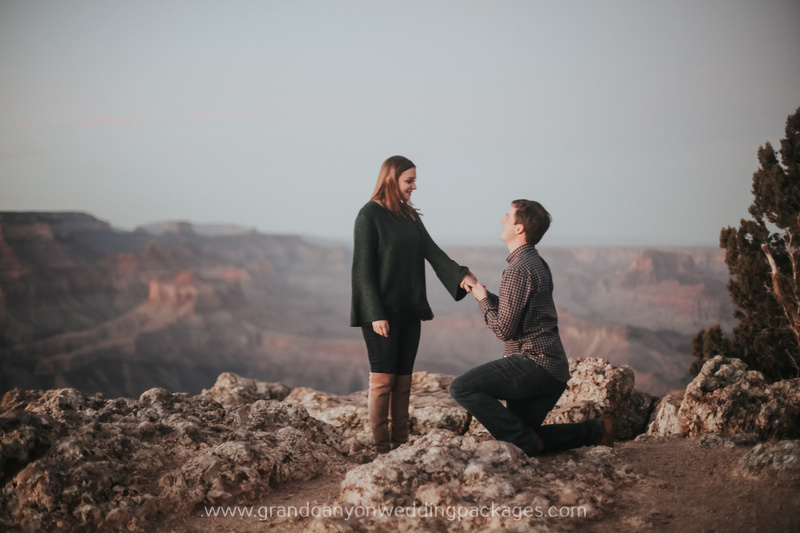 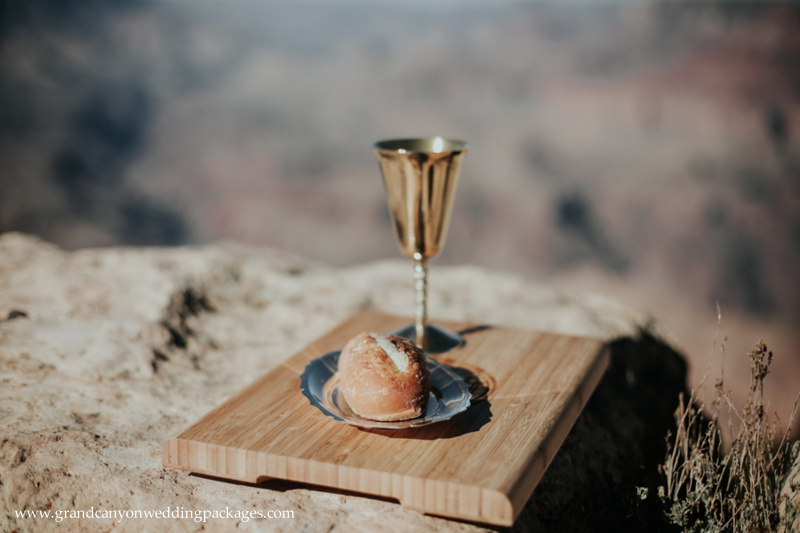 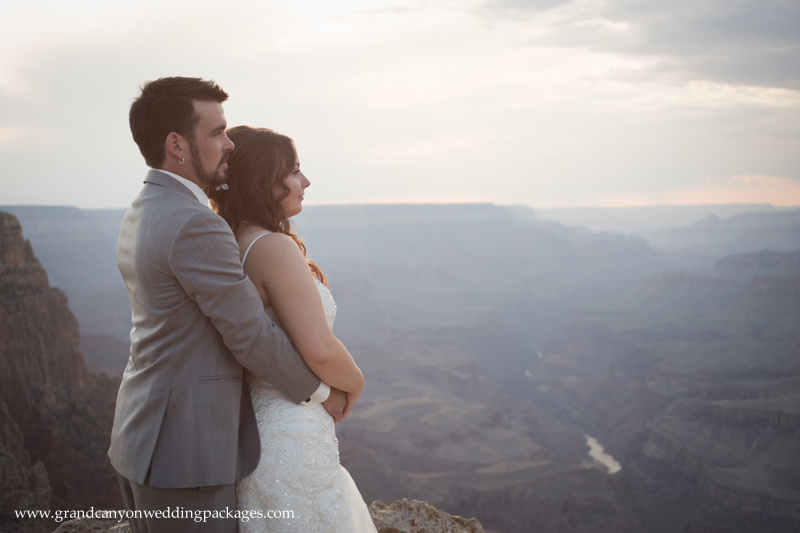 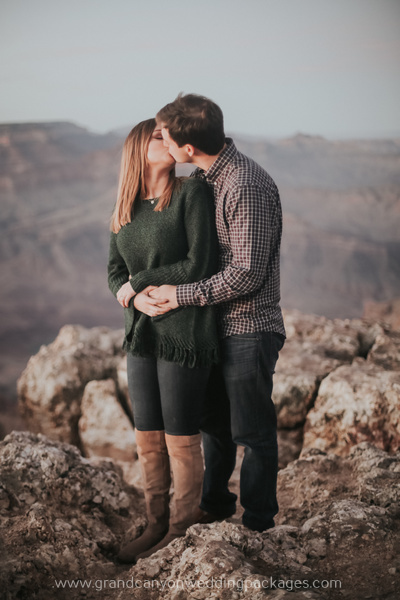 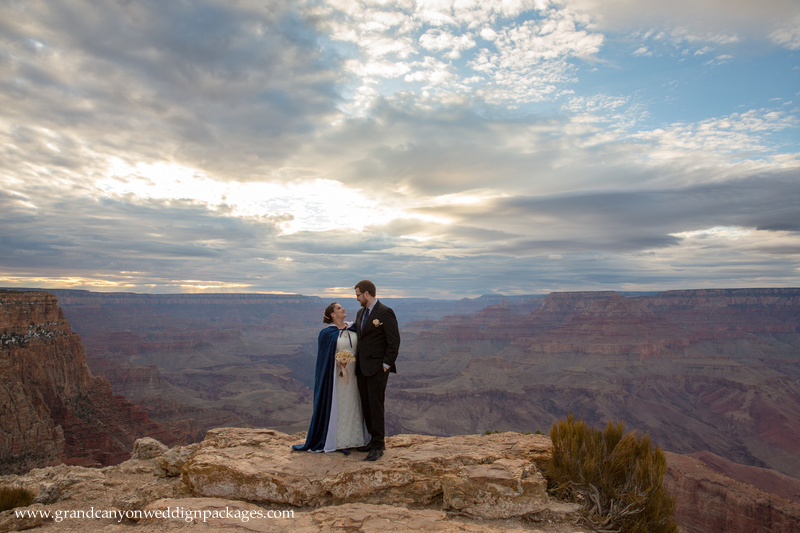 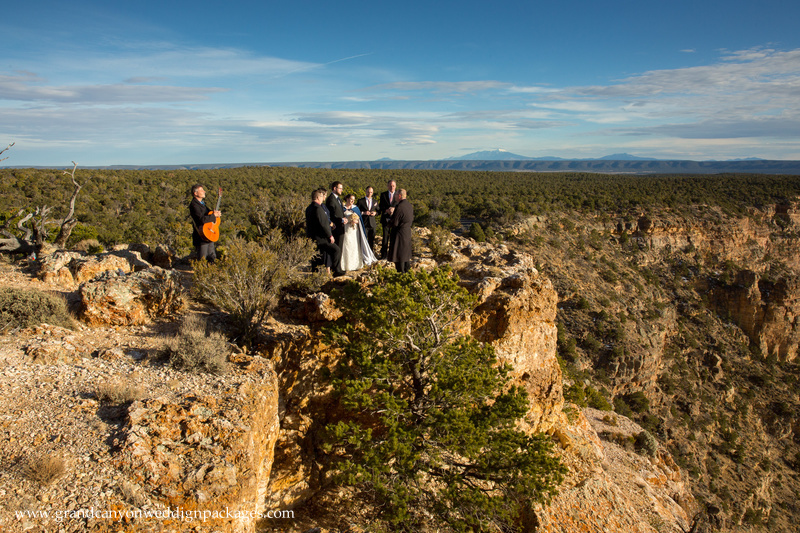 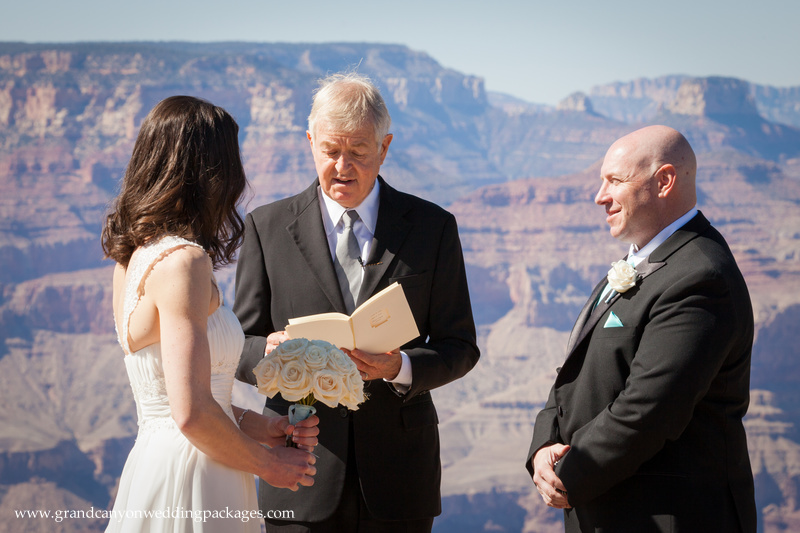 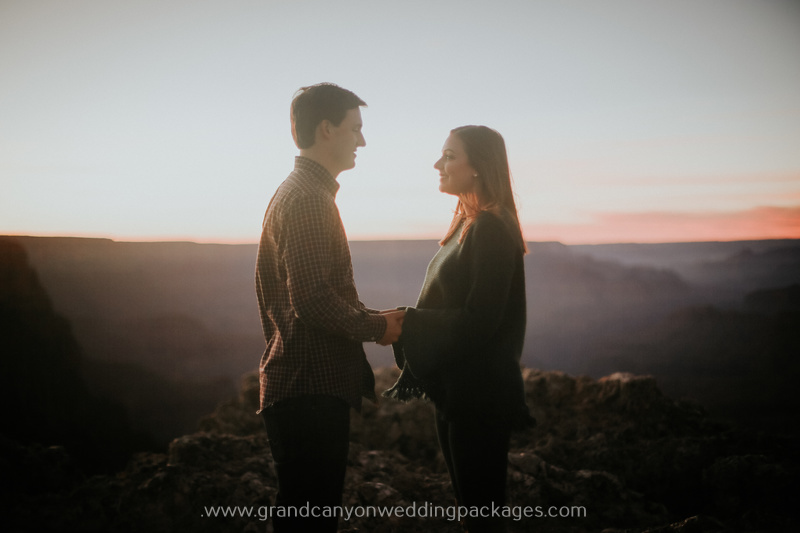 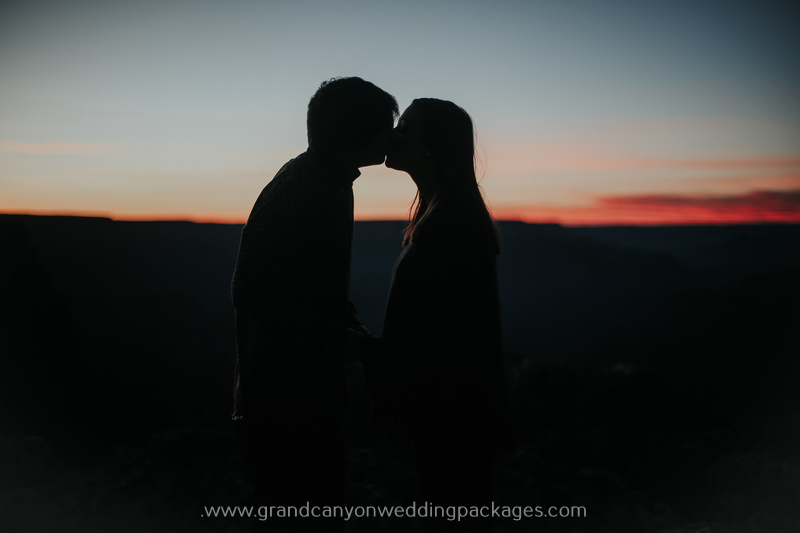 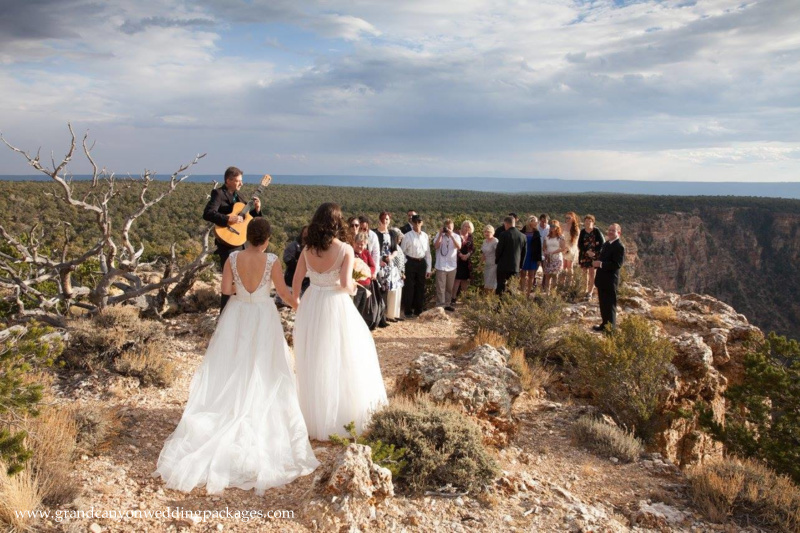 We Congratulate Christa and Steve on their Summer Grand Canyon Elopement! 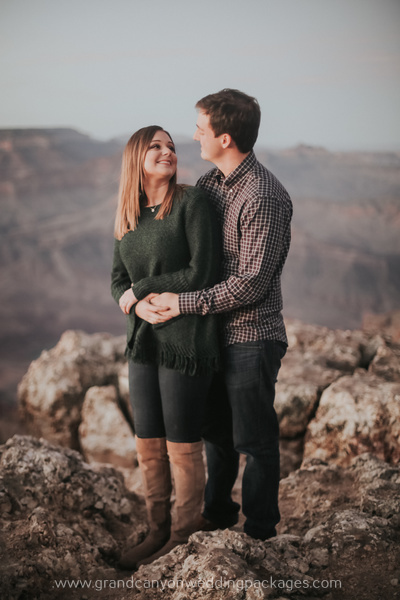 Christa and Steve have known each other since they were teenagers but it wasn’t until years later that they started dating. 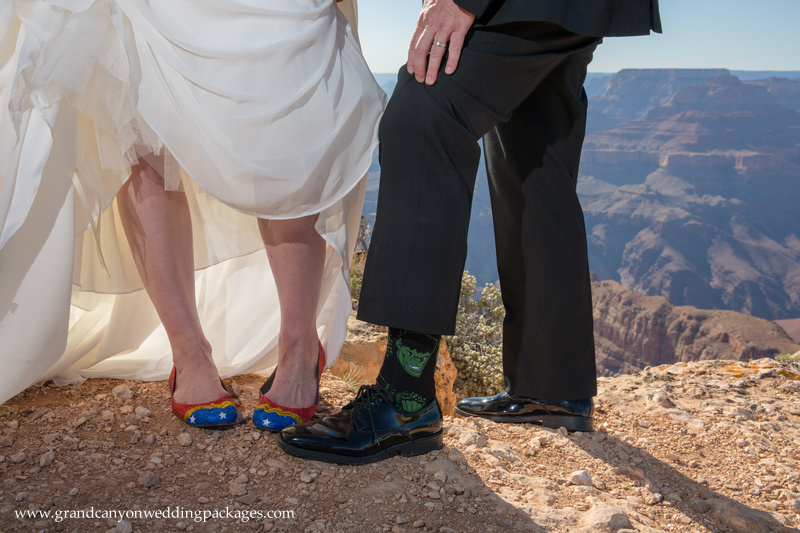 They eventually decided to elope at the Grand Canyon and traveled halfway across the country to do so! 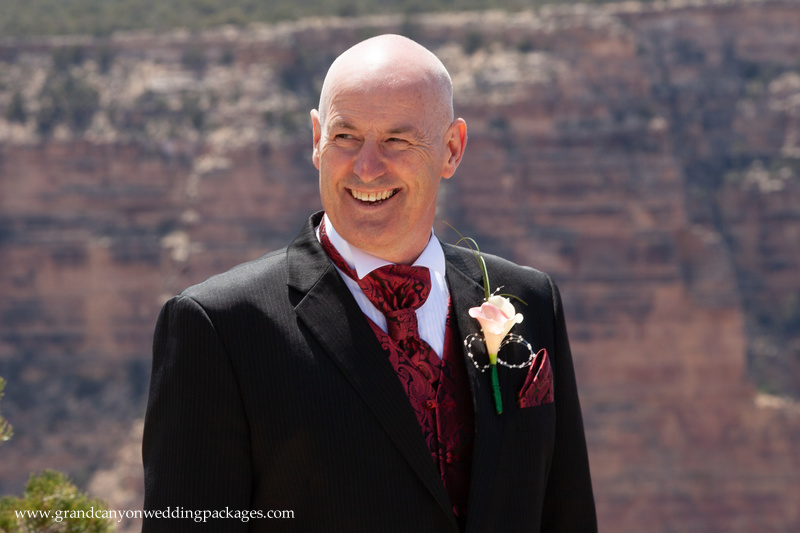 We love hearing the backstories of the people we work with and how they came to be engaged. 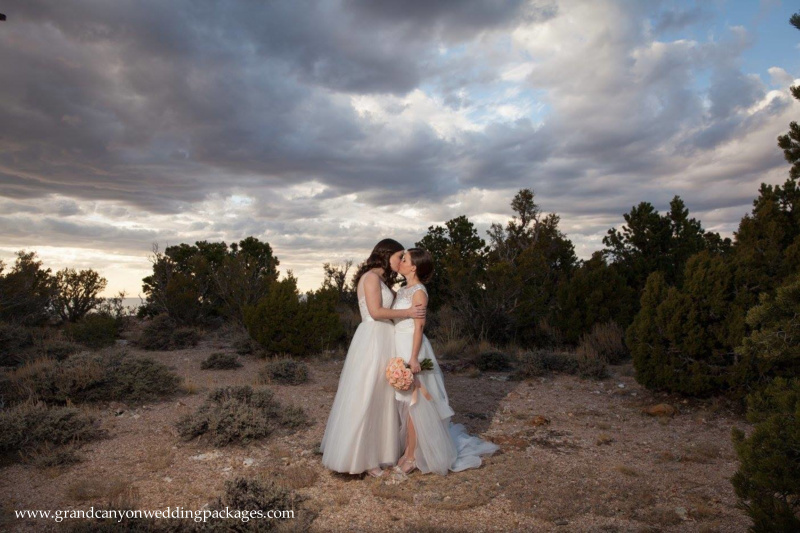 Here are some of our favorite photos from their special day and as you can see even stormy days make for some amazing photographs!